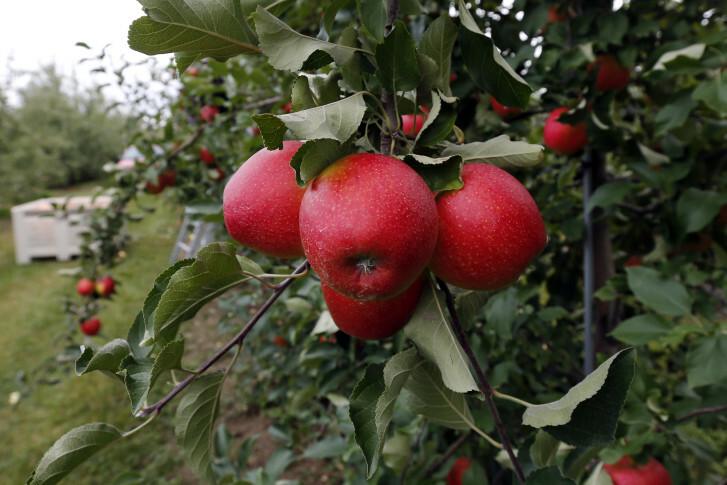 Seventy-five miles outside the nation’s capital is the Washington region’s apple capital. 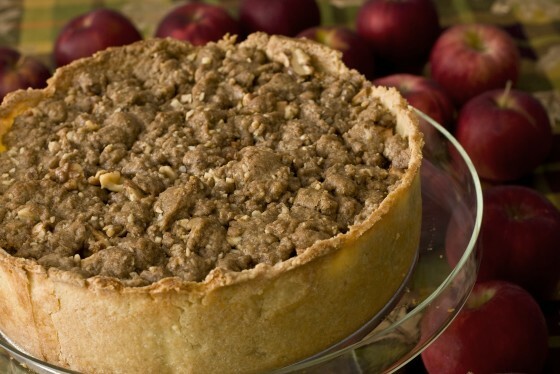 And with the season in full-swing, now is the time to celebrate all things apple. WASHINGTON — If an apple a day can keep the doctor away, what can a copper kettle filled with the fall fruit accomplish? It’s officially apple season. If you’re inundated with the fruit of fall, here are some sweet and savory recipes that can put your apples — and your stomach — to work. Click on the link in the slides for each recipe. Apple butter — lots and lots of apple butter. Seventy-five miles outside the nation’s capital is the region’s apple capital. And with the season in full-swing, now is the time to celebrate all things apple. During September, October and November, Shenandoah National Park is shining the spotlight on the darling fruit of fall, starting with the 16th Annual Apple Butter Celebration at Skyland Resort on Saturday, Sept. 19. Large copper kettles will be fired up and filled with apples from nearby Showalter’s Orchard for a day of apple boiling and apple-butter making. And yes, there will be an opportunity to sample the spread and even take a jar for the road. Throughout the daylong festival, there will be live music, crafts, pony rides and apple-focused food, such as cider barbecue and fresh apple fritters. Cider makers Shannon and Sarah Showalter also will be on-hand to pour their artisanal Old Hill ciders, made from 100 percent apple juice. Virginia’s peak apple season extends through mid-October, and orchard owner Sarah Showalter says the event is the perfect way to ring in the season. “When you think about fall, you think about leaves changing and the beauty of trees, and you think about apples and harvest,” she says. And for Skyland Resort Sous Chef Heather Cash, there’s nothing more beautiful than homemade apple butter. “Anyone who hasn’t had apple butter, I feel sorry for them. Truly, I do. It’s delicious,” she says. If you can’t make it out to Shenandoah National Park this weekend, there are plenty of other apple happenings coming up. The resort’s chefs will conduct a cooking demonstration on Sept. 22, showcasing some of their favorite recipes that use Virginia apples and hard cider. If you prefer to drink your hard cider, Skyland will hold cider tastings Sept. 16, 23 and 30, as well as on Nov. 4 and 11. Or, combine both at Skyland Resort’s hard cider-paired dinners on Sept. 25 and Nov. 14, and savor fall’s flavors in dishes such as short rib ragout, venison tenderloin, red snapper escabeche and apple-cranberry crisp. In the mood to pick your own? There are a number of orchards within a few hours of D.C.
Use the map below as your orchard guide, and let the gallery to the right guide you in the kitchen when you arrive home with a bushel full of apples.